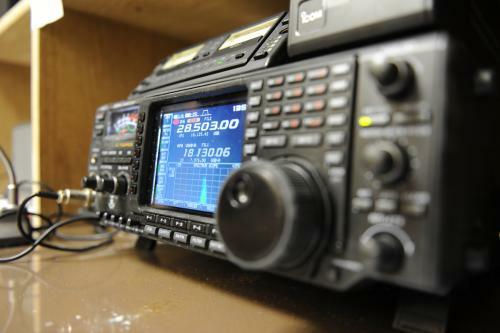 W1YU, the Amateur Radio Club at Yale, will be offering a six session class to cover the material you need to know to earn your entry-level Technician Class Amateur Radio License. Five classes will be held at the W1YU clubhouse and station located in the Graduate Club at 155 Elm Street in New Haven. The sixth session will be a review session and a VE session where the license exam will be given. Review session & VE Exam Session: Saturday October 7, starting at 1:00 pm. While we are primarily offering this program for Yale students, faculty and staff, the classes and VE session are open to all persons interested in earning their first amateur radio license. If you ever wanted to get on the air with ham radio, here is your opportunity! We will cover all material needed to pass the 35-question Technician Written Exam (Element 2). The Technician license grants priveleges on all VHF/UHF amateur bands (frequencies above 30 MHz, and limited operations in certain HF (shortwave) bands. Before you can get on the air, you need to be licensed and know the rules to operate legally. For more information or to sign up for the course, please contact either Scott Matheson N3NFP at scott.matheson@yale.edu or James Surprenant, AB1DQ at james.surprenant@yale.edu.